Libreville (AFP) - Russia and China are muscling their way into the Central African Republic as Western clout in the mineral-rich, strategically important nation seems to wane, analysts say. Ranked at the very bottom of the UN's 188-nation Human Development Index, CAR is mired in poverty and strife. 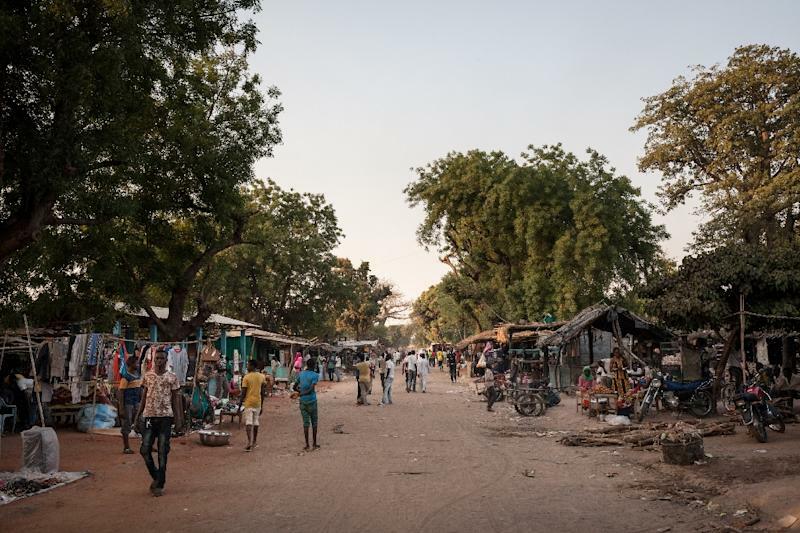 Most of the country is in the hands of militia groups, and violence has prompted a quarter of its 4.5 million people to flee their homes. Even so, the dirt-poor nation sparkles in natural wealth -- from diamonds and gold to copper and uranium -- and holds a position at the crossroads of central Africa. France, the former colonial power, has traditionally wielded the most clout in CAR. It intervened militarily in 2013 after long-time leader Francois Bozize was overthrown by a mainly Muslim rebel alliance, the Seleka. France handed on to a UN peacekeeping mission, but its military visibility has shrunk, to 81 military trainers and drones. Earlier this month, France sent Mirage-2000 warplanes from Chad to overfly a northern region, in a warning to a rebel militia which holds the area. Events in recent months highlight the mounting interest of China and Russia in this much-overlooked part of the world, analysts say. "The CAR is a geopolitical chess game," a UN official in Bangui said, speaking on condition of anonymity. "Everyone moves their pawns forward. When one country moves, the others take note and react accordingly." Russia made its big move at the end of last year, when it was authorised by the UN to provide the CAR with weapons and military personnel. The delivery was ostensibly aimed at shoring up the beleaguered central government and its chronically weak military -- an exemption to a UN arms embargo, imposed in 2013 when the CAR exploded into civil conflict. Britain, France and the United States voiced concern, demanding that deliveries be restricted to light arms and that Russia take steps to provide traceability to prevent the weapons from being sold on the black market. Russia is now believed to have signed a range of deals with the government; Russians provide security for President Faustin-Archange Touadera; and a number of militia groups say they have been approached by Russian figures to mediate in conflicts, concurring sources say. "The West has missed the boat," a Western diplomat at the United Nations said. "The Russians are now everywhere in the CAR state apparatus." Coupled with Russian involvement at state level is an apparent bid for hearts and minds -- a convoy of about 20 Russian trucks crossed into northern CAR last month from Sudan on what is officially described as a mission to help refurbish run-down hospitals. Touadera met Russian President Vladimir Putin on Wednesday at an economic gathering in Saint Petersburg. "We will be happy to reflect on various ways of intensifying our relations, first and foremost in the humanitarian and economic fields," Putin told Touadera, who said in reply, "Our country is currently among the least developed (economies), but we have enormous potential." The two presidents also praised the ties that their countries had during the Soviet era, according to remarks published by the Kremlin. Thierry Vircoulon, a CAR specialist at the French Institute of International Relations (IFRI) think tank, said Russia was craving a "historic revenge" after post-Cold War humiliation and Western countries were "tired" of Africa. The notion of a watershed is shared by Ronak Gopaldas, a consultant to South Africa's Institute of Security Studies. Brexit and President Donald Trump's "America First" approach have meant Britain and the United States have become more insular, Gopaldas argues. "There is a clear shift in the West's relations with Africa (which is now primarily centred on migration and security) and this is a good time for new foreign entrants to make their mark," he wrote in March. Cash-rich China is also making a big pitch in CAR, offering economic rewards, as it has elsewhere in Africa. In the past six months, it has scrapped $17 billion worth of debt, set up a programme to train government officials in China and donated military material, although it appears to have no immediate political or security ambitions. Two Chinese state companies have been present in northern CAR since 2007, where they are drilling for oil. 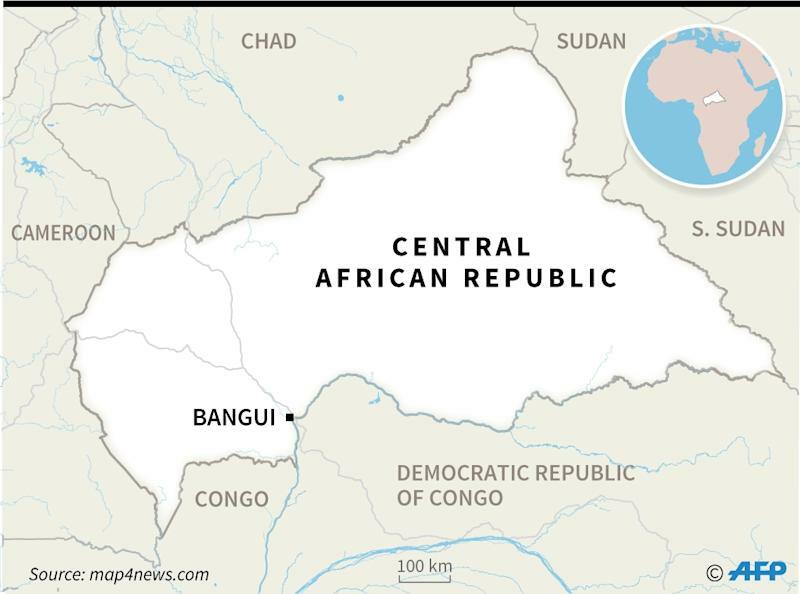 But they swiftly abandoned their drilling sites in late 2017 after the Popular Front for the Rebirth of Central Africa (FPRC), a militia allied to the Seleka, criticised the government of bias in favour of Beijing. If there is misgiving in Western capitals about the shifting winds, none of it is visible in the CAR government. Touadera in March heaped praise on "friendly countries" whose help came from his policy of "dynamic diplomacy." The CAR "is a state on its knees, which is for sale," Vircoulon said. "The buyers are the emerging powers (like) China, and an old power, Russia, on the comeback trail. The West is no longer a buyer -- it's the 21st century, and the colonisers have changed."